With 100% of the features of the fullsize StratoFighter™, the StratoFighter™ Covert offers the same capabilities in a concealable package. A full inch smaller when folded, 17% lighter, but equally lethal. For Law Enforcement applications where the deployment of a full size fighter may be inappropriate, the Covert model is pocket concealable, with multi-configurable belt clip. 100% made in America! 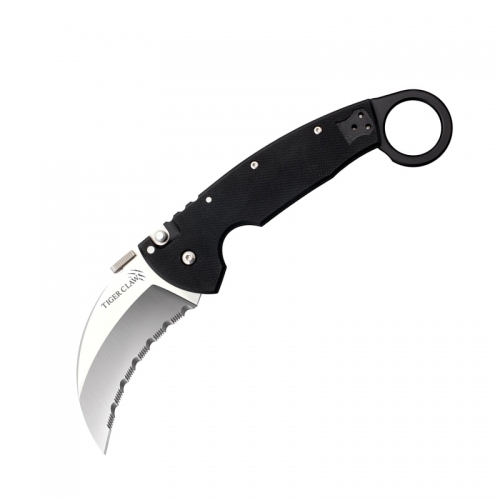 Choice of Tanto or Spear point blade styles with half serrated cutting edges, specify blade choice. For a complete list of features, See the StratoFighter™ description! Total Length: 8.75 in. 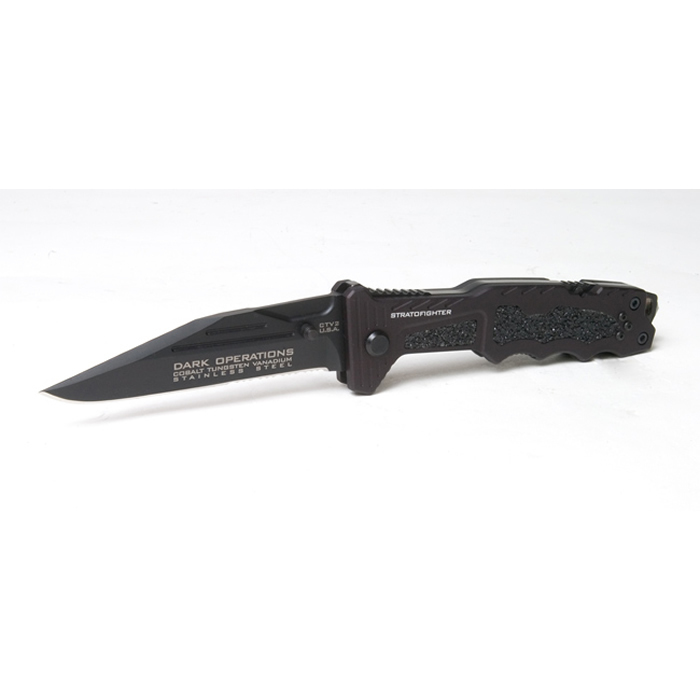 Blade Length: 3.72 in. Weight: SFC-1 6.6 oz. SFC-3 6.9 oz. Blade Thickness: .25 nom Blade Steel: CTV2™ Stainless Steel Rockwell Hardness 58 Handle: T6160 Aircraft Aluminum Crisis Cross™ Cross Bolt Safety Raptor Lock™ Back Lock Heavy Duty Pocket Clip. Reversible for true ambidextrous use.